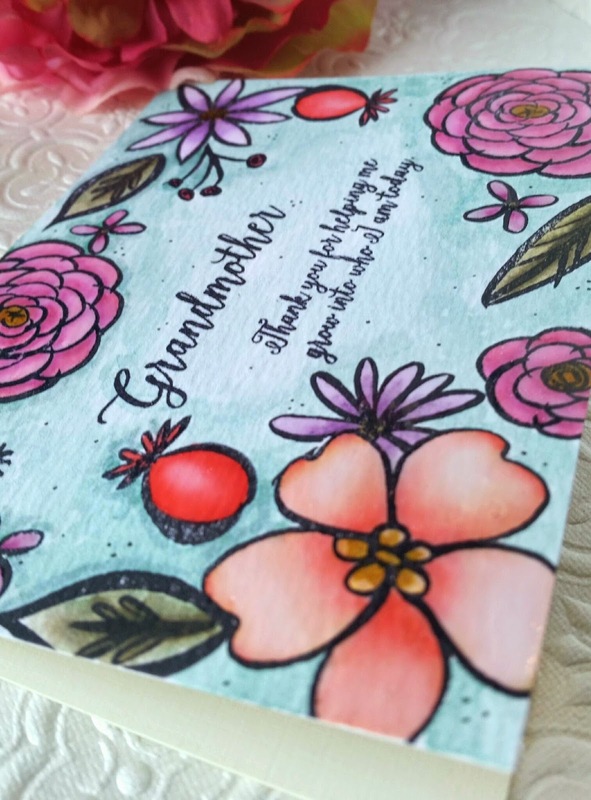 I’m in Mother’s Day cardmaking mode right now, and with my current watercolor obsession, it seems only fitting to marry the two. My grandma has always been a wonderfully supportive force for most of my life. She and my grandpa, alongside my mom, instilled in me a love of music and the arts from a very young age. They paid for me to have private voice lessons when I was a freshman in high school through my senior year, starting me on the track to my music degrees. They were my staunchest supporters at every recital, choir concert, and theater performance. 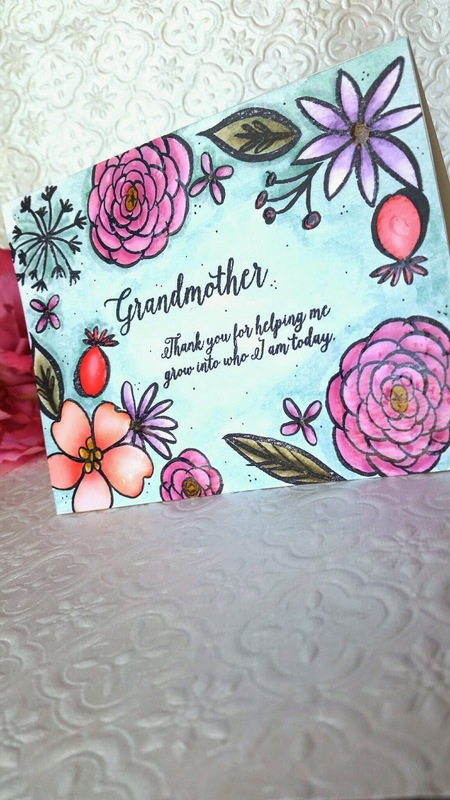 I wanted to create a card for my grandma, who is now in a nursing home with dementia, that would brighten her day and hopefully remind her of how much she and her unwavering support means to me. I started off with Ellen Hutson’s new set Bohemian Garden, stamping blooms and leaves around the edge of some watercolor paper with Ranger Archival ink. I watercolored the images with my distress markers, then added a color wash to the background. I stamped the greeting (from Ellen Hutson’s Amazing Women stamp set), then added some clear pico embellisher to the flowers to add some shine and change up the texture. Thanks for visiting! If you like what you see, I’d love it if you became a follower on Instagram (I’m eamidgett) and/or became a subscriber to my blog. Have a fabulous day, friends!